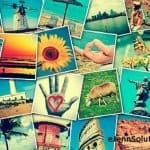 Home » Best Time To Post on Facebook! We get this question a lot: What’s the best time to post on Facebook? 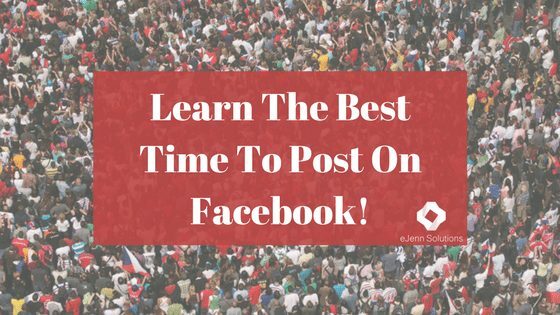 More specifically, what is the best time to post on your Facebook Business page so I’ll reach the most people! 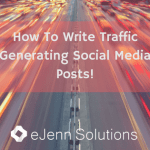 Most people will send you to an article filled with stats that tell you the best times to post based on oodles of pages and the results for their findings on the matter. This usually results in an “average” of the best times based on this research. The problem with those articles is that while it may be a great “average” of all those sites … it has really nothing to do with YOUR Facebook page and YOUR fans. Think of it this way … it’s like real estate … what might be the national average for a home sale in terms of price or time on market – it doesn’t mean that’s what’s happening in your neighborhood. So many different factors! Here’s a little tip to help you dive even deeper into these insights. If you are using your desktop – move your cursor over to the days section of the insights. Don’t click, don’t do anything but hover your mouse (or pointer) over one of the days (Let’s pick Tuesday!). Move your cursor (mouse) over each of the other days and watch the times graph below change. Each day indicates when more people from your page are active on Facebook. Some will tell you to create and publish your posts at the times most of your audience is on Facebook. This is a good bet – however, you may find that during those times your posts get lost in the all the noise. We have found on SOME pages, that posting when the audience is low – it can have some great results. Take a post or 2 and test your times. Post one when most of your fans are online and try one when the insights indicate a low number of your fans are online. 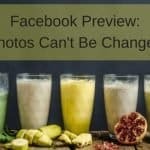 See which one works well for your page! If you’d like to have a social media audit done for your business page – drop us an email or phone call!